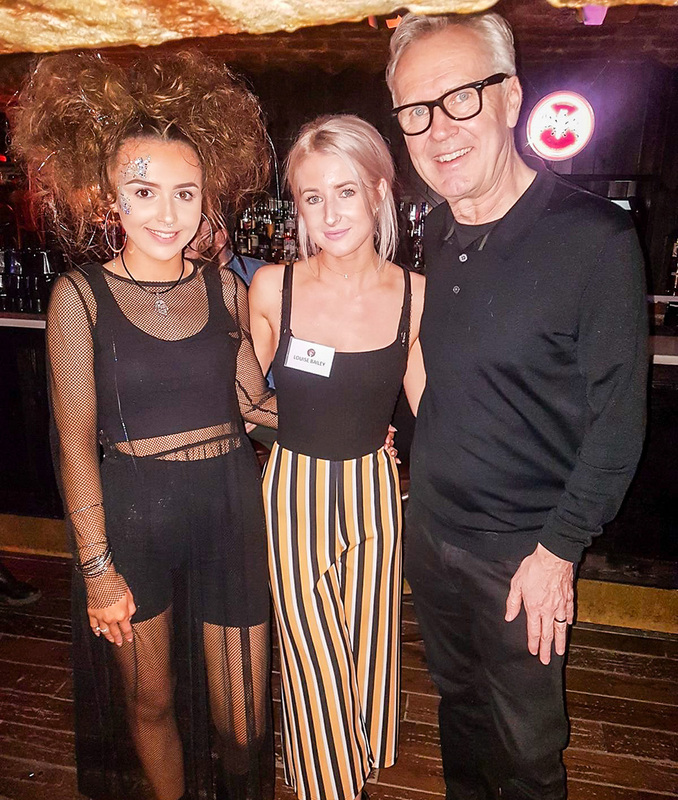 Last Sunday our stylist Louise took part in her first Open Chair Night competition sponsored by Kevin Murphy at Heebie Jeebies nightclub in Liverpool. There was no brief - the contestants could create whatever look they wanted, from hair ups all the way to barbering! All the entrants had just 10 minutes in the lime light to express their creative talents and present their skills to the crowd. Louise went for a mixed theme of festival and disco with a dark edgy twist. She had PK's apprentice Abi as her model who rocked Louise's look! The evening was an absolute success - Louise was the winner of the Runway style category. She was rewarded with £100 worth of Kevin Murphy products and two tickets to train at the Kevin Murphy Academy in London! Most of all it was a great experience for Louise and the team who all came away buzzing! She even got to meet hair guru Andrew Collinge! Louise is over the moon with her win and plans to enter more competitions and see where the competition world will take her. The salon is soon to be putting a new collection together and I'm sure Louise will be getting involved with that!